Belle d`Opium is the new addiction by Yves Saint Laurent; a fragrance that is a disconcertingly bewitching new oriental. It is a true olfactory manifesto and a profusion of rare and precious ingredients: Casablanca Lily blends with spicy Incense and mysterious overtones of a Nargileh accord. A woman who wears it is full of ambivalence, elusive and obsessive, powerful and troubling, ingenue but dangerous. Top notes: mandarin, Casablanca lily, gardenia, jasmine Heart: incense, peach, white pepper, tobacco, hookah accord, fruity notes Base: amber, sandalwood, patchouli, smoky notes The bottle is a redesigned version of the original, updated with a flamboyant red wick and highlighted with a gold circle and cap. The face of the fragrance is actress MÃ©lanie Thierry. 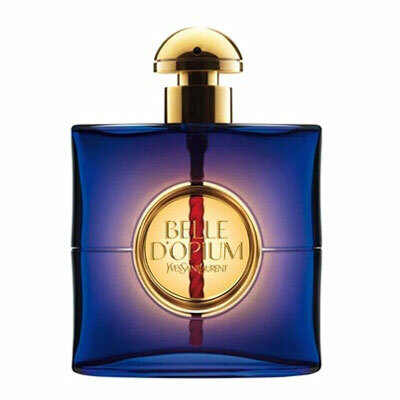 Belle d`Opium was launched in 2010. Belle d`Opium was created by Honorine Blanc and Alberto Morillas."